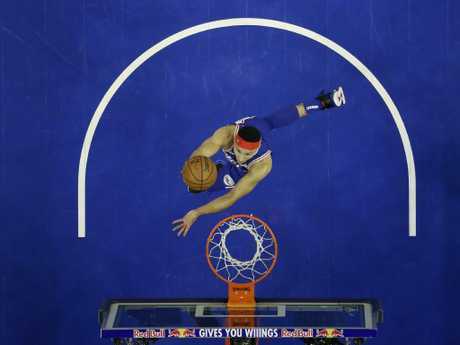 BEN Simmons is entering what looms as the most testing stretch of the Philadelphia 76ers' season in the form of his life. The Australian needed only three quarters - and 10 field goal attempts - to post his third consecutive game of 20 points or more while adding nine assists and 11 rebounds in Philly's 149-107 win over Minnesota on Wednesday (AEST). 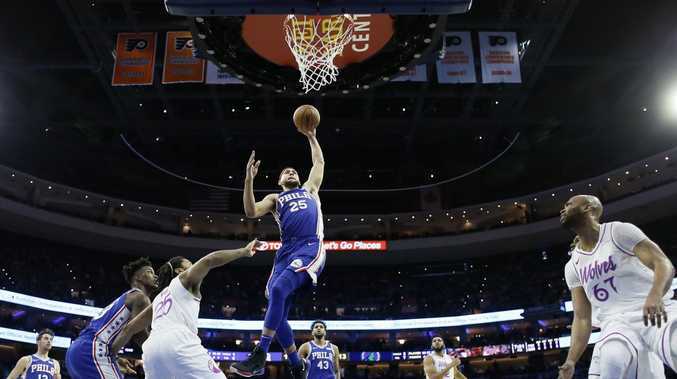 It's the first time in his young career that Simmons has had three consecutive 20-point outings and is the perfect entry into a month that could make or break his team's season. The 76ers' next 12 games come against opponents with winning records, so it's time to sink or swim for a group that is still coming to terms with how star signing Jimmy Butler fits. "We're going to see how good we are and how good we can become - or how bad we are," said franchise centre Joel Embiid, who registered 31 points and 13 rebounds against Minnesota despite also sitting most of the fourth quarter. "I think the next three weeks are really going to shape our season ... it will be exciting. It will be a good test." Indiana (away), Oklahoma City (home), Houston (home), San Antonio (home), Denver (away), LA Lakers (away), Golden State (away), Sacramento (away), Toronto (home), Denver (home), LA Lakers (home), Boston (home) await ahead of the All-Star break. Sixers coach Brett Brown said: "I think the level rises. I think our talent rises and I look forward to playing some of the elite." Most of the Sixers squad received a confidence boost as the Timberwolves laid an egg in Dario Saric's return to Philadelphia. Embiid and Wilson Chandler both hit 4/6 three-point attempts, and Butler (3/4) and Aussie Jonah Bolden (4/5) were both on fire from long-range. NBA veteran Corey Brewer hit his only three-point attempt in his first outing with the 76ers after signing a 10-day contract earlier in the day.